This is a writing prompt for students to tap into their creativity! like to save paper so I put two on the page. 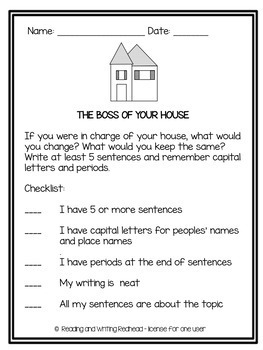 The prompt asks what would you do if you were in charge of your house. It also includes a short checklist for things like punctuation and capitals. Good for grade two but probably you could use it for grades one and three as well. 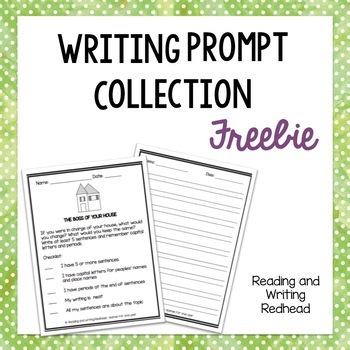 If you enjoy this freebie you might like the full Writing Prompt Collection! Grab nine writing prompts!